The latest trademark infringement lawsuit filed in the District of Nevada is a continuation of an ongoing dispute between the online poker company Everest Poker and the owner of the World Series of Poker. Back in April, Ultra Internet Media S.A. (“UIM”), a Nevis company that owns the online poker website Everest Poker, sued Harrah’s License Company, LLC (“Harrah’s”), the company which owns the World Series of Poker (“WSOP”), for breach of contract relating to a 3 year “on-felt” sponsorship deal that UIM had with Harrah’s to have the Everest Poker logo appear prominently on the felt of every table in the competition as well as the inner rung of the table used during the WSOP finals. See Ultra Internet Media, S.A. v. Harrah’s License Company, LLC, Case No. 10-cv-00455 (D. Nev. Filed April 1, 2010) (complaint here) (Las Vegas Sun article here). The agreement called for UIM to pay Harrah’s $6.2 million for the 2008 WSOP tournament, $7.9 million for the 2009 WSOP tournament, and $8.4 million for the 2010 WSOP tournament. UIM notified Harrah’s before the filing of the lawsuit that it was going to withdraw its sponsorship of the 2010 tournament (and not pay the $8.4 million due) based on what UIM calls a breach by Harrah’s of the sponsorship agreement. Specifically, UIM indicated that in the 2008 and 2009, ESPN broadcasts of the WSOP by a French television affiliate, RTL9, electronically projected the name and logo of competitor Full Tilt Poker on the table felt rather than UIM’s Everest Poker logo. According to that lawsuit, UIM had meetings with officials from Harrah’s and ESPN in February 2009 to discuss the RTL9 broadcasts and both agreed to take the necessary steps to stop RTL9 from projecting the Full Tilt Poker logo during its WSOP broadcasts. Yet, UIM claims that as recent as February 14, 2010, RTL9 was still showing the Full Tilt Poker logo during a WSOP event broadcast. UIM claims that its largest source of revenue comes from customers in France since U.S. law prevents UIM from generating gaming revenue in the United States through the Internet or telephone [ed. – wink wink]. The lawsuit seeks damages for breach of contract and unjust enrichment as well as a declaration that Harrah’s is in breach of the sponsorship agreement. In Harrah’s Answer to UIM’s breach of contract complaint (Answer here), Harrah’s argues that the sponsorship agreement did not require events to be broadcast into any country and that no representations regarding WSOP broadcasts in France were made by ESPN or Harrah’s. (Las Vegas Sun article here). Harrah’s further notes that UIM did not have an online gaming license recognized by French authorities at the time of its discussions with Harrah’s and ESPN at which Harrah’s and ESPN noted to UIM that poker programming was not distributed by French television stations unless tournaments were sponsored by a French licensee. According to Harrah’s, when the concerns were raised by UIM regarding the French broadcasts in 2009, a “make-good” agreement was reached among the parties in which ESPN would broadcast the WSOP in Spain and Italy and not extra cost to UIM (on the idea that Spain and Italy combined have about the same number of potential viewers as France) and that Everest Poker would be described as the “presenting sponsor” of the WSOP during broadcasts in certain European countries – except for France where a “unique provision of French law” allowed RTL9 to use the digital advertising techniques that enabled it to put the Full Tilt Poker logo in place of UIM’s Everest Poker logo on the ESPN broadcasts. A related breach of contract complaint was filed on April 27, 2010, by Harrah’s Interactive Entertainment, Inc., the predecessor-in-interest to Harrah’s License Company, LLC, with respect to UIM’s WSOP sponsorship agreement, seeking damages for breach of contract, breach of good faith and fair dealing, and unjust enrichment. See Harrah’s Interactive Entertainment, Inc. v. Ultra Internet Media, S.A. et al, Case No. 10-cv-00607 (D. Nev. April 27, 2010) (complaint here). Which leads to the latest lawsuit filed last Friday. This time Everest Gaming Limited (“Everest Gaming”) is suing Harrah’s License Company, LLC and Harrah’s Interactive Entertainment, Inc. for trademark infringement. See Everest Gaming Limited v. Harrah’s Interactive Entertainment, Inc. et al., Case No. 10-cv-00904 (D. Nev. Filed June 11, 2010) (complaint here)(Las Vegas Sun article here). 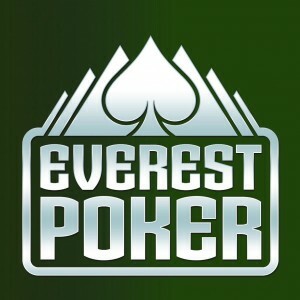 Everest Gaming, a company organized in Malta, is the currently named registered owner of the EVEREST POKER trademark (purportedly assigned over by UIM to Everest Gaming on April 8, 2010, after first going through a Canadian intermediary, but the assignment was not recorded until June 4, 2010 (record here)). According to the complaint, Harrah’s continues to use the Everest Poker trademark on the table felts being used in the 2010 WSOP tournament as well as banners and wall posters, the inner rung of certain WSOP tables, and on TV monitors through the Rio casino showing the WSOP schedule of events. How long before Harrah’s fires back with claims against Everest Gaming for unauthorized use of the WSOP marks? Two can play at that game.